As many as 88 people were killed and 42 injured when a budget airliner crashed in attempting to land at the Phuket International Airport in southern Thailand on Sunday afternoon, reports in Bangkok said. The MacDonnel Douglas MD 82 plane, operated by Thai budget carrier One-Two-Go, had 130 persons aboard, including 123 passengers and seven crew. Latest death toll is put at 88, while 42 were injured and hospitalized, many of them foreigners, according to Bangkok-based news network The Nation. Authorities have not confirmed the exact number of foreign or Thai victims, but list of foreigners retreated at local hospitals include British, Iranian, Australian, Swedish nationals, as revealed by local media. Airport administration officials said the two-engine airplane, flight number OG 269, took off from the Bangkok's Don Muang airport at 2:30 PM (0730 GMT), and arrived at the airport around 3:40 PM (0840 GMT). After a failed landing attempt, the aircraft slipped off the runway, crashed into trees and walls around the airport before it broke into two sections and burst into flame. Services at the Phuket International Airport were suspended while airport workers and emergency personnel cleared the runway of wreckage in the aftermath of the crash. About 1,000 passengers were affected after four flights from the airport, three Bangkok-bound and the fourth for Hong Kong, have been canceled. Before leaving Bangkok for Phuket together with other senior officials, Thailand's Deputy Minister of Transport Sansern Wongchaum on Sunday evening said that the Phuket airport is expected to resume operations at 6 AM Monday morning (2300 GMT). Investigation of the crash cause is still underway. Heavy rain, strong winds and poor visibility at the landing time were suspected to be part of the reason. The Phuket province is an island located on the eastern coast of Indian Ocean in southern Thailand and one of Southeast Asia's most popular tourist destinations. The One-Two-Go airline, a domestic subsidiary to Bangkok-based Orient Thai Airways and Thailand's first low cost airline which started operating no-frill flights in 2003, runs the Bangkok-Phuket flights from Don Muang airport, once known as the Bangkok International Airport, six times a week. Udom Tantiprasongchai, chairman of Orient Thai Airlines, told The Nation that he was deeply sorry at the tragedy and promised that the victims would receive maximum compensation. Meanwhile, Chantra Purnariksha, the head of the Office of the Insurance Commission was quoted by The Nation as saying that the ill-fated plane was not covered by domestic insurance. 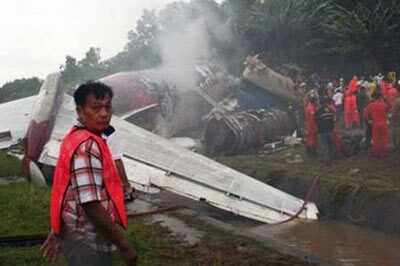 Chantra said that the General Insurance Association had confirmed that One-Two-Go airline did not have local insurance for the ill-fated MD 82 plane, and they will try to find out whether the aircraft, which was leased by One-Two-Go from a foreign company, was covered by foreign insurance. 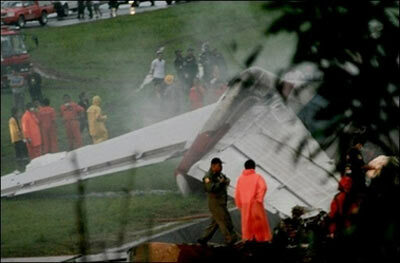 However, airline companies normally buy insurance to cover both the aircraft in operation and passengers. Chantra said foreign passengers usually have their own life and accident insurance, but Thai passengers, who are now being treated at local hospitals, will be able to get compensation from One-Two-Go, which will have to pay hospital bills immediately. The airline can claim those costs from its foreign insurers later.